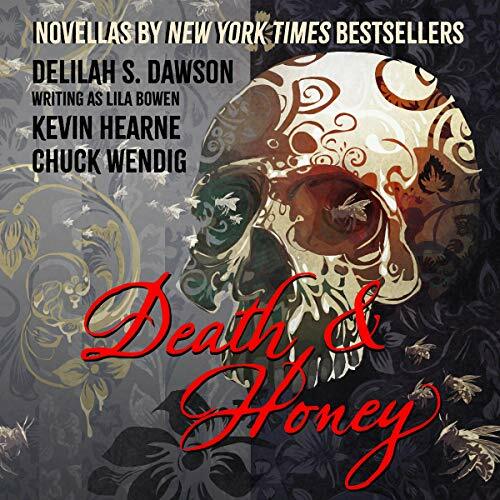 Death & Honey contains three new novellas by New York Times best sellers Delilah S. Dawson, Kevin Hearne, and Chuck Wendig. 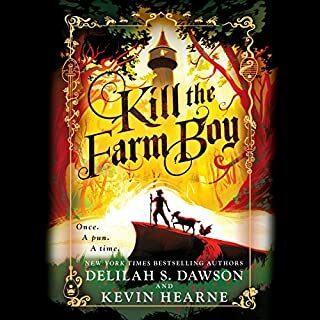 Grist of Bees, by Delilah S. Dawson writing as Lila Bowen, follows Rhett Walker, who has given up his destiny as the monster-hunting Shadow to settle down with his beloved Sam. But when the call to action grows too strong, Rhett saddles up to follow a peculiar bee into the unforgiving desert. 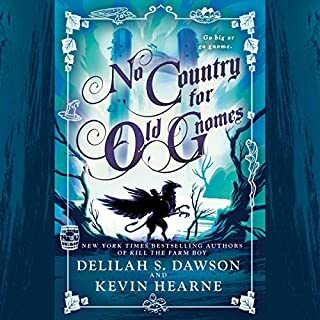 The bee leads him to a weeping mother in a strangely prosperous valley, and Rhett has no choice but to hunt the creature that's stolen her child - even if it destroys a land of milk and honey. Interlude: Tanager by Chuck Wendig returns us to the world of Miriam Black. Lauren “Wren" Martin is a young psychic woman who can see the stained souls of killers; it is her gift, or as she sees it, her curse. And up until now, it has been her mission to kill those killers, to remove them from the pattern so that they may not murder again. 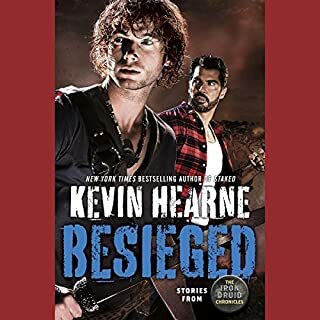 But now, after a death that may not have been deserved, she’s left rudderless, without plan or purpose, until a woman with a strange power of her own takes her in and gives her a new mission - and a new target. I'm sorry I bought this the other stories were blah. going to get a refund. 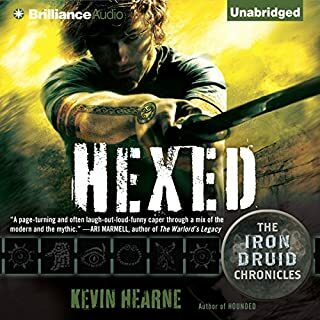 I feel I need to apologize because I really WANTED to like the stories by Dawson and Wendig and I get that they're good, respected, buddies of Hearne, but they just didn't grab my attention like the IDC series. Are just a couple of stories not enough to "hook" me or is there something deeper about the attraction we have for one content vs the next? I don't know, I just couldn't get into the concept of the other characters in the other short stories. They just didn't interest me, personally and I kind of feel bad because it must be really tough to conceptualize that magical stew that is world-building. I get it though. I get what they were trying to do but I just can't get on board. I loved the IDC addendum to the series though. I wanted more of THAT. 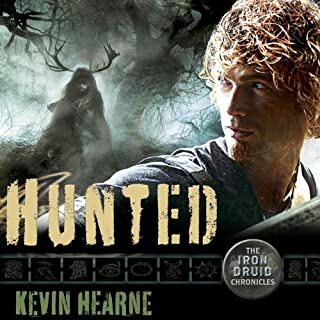 This was to be the last book of the series, instead it felt like Kevin's publisher was telling him "well just write anything". This book is maybe 4 hours of Oberon then the second half is a different book by a different author. 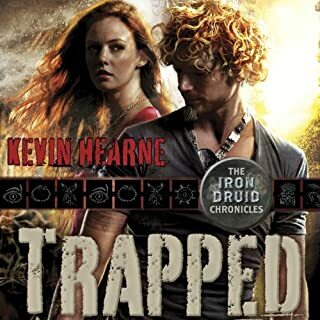 The druid story was great as always, but not the other two. 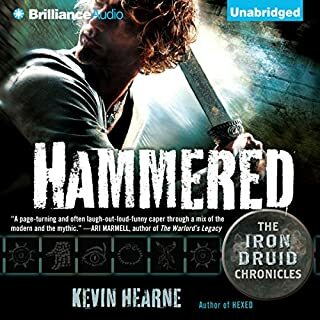 Just wish the druid story was longer. I’d hoped to find a new author I might like but no such luck. 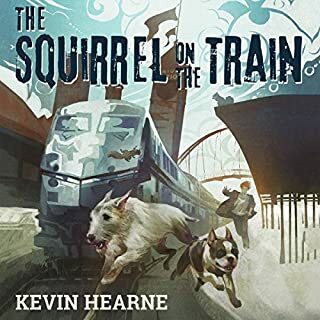 I loved the story by Kevin Hearn and the narrator was Excellent. 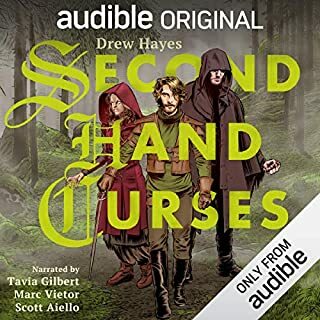 2nd story good and good narrator. The 3rd story basicly was not very good and Narrator Poor could hear her very well and recording not really all that clear in parts. I would not recommend 3rd author or the narrator she used. I hate these combined author books. I hate them. 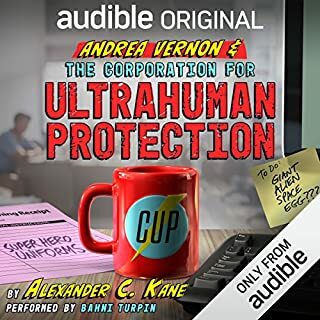 I listened to the Atticus/Oberon/Starbuck story narrated by Luke Daniels. It was great. 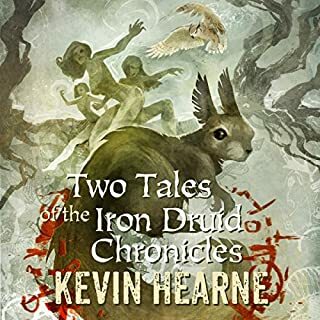 I have tried, unsuccessfully, to enjoy the other authors' stories when combined with Kevin Hearne's stories. I hated the one with the common theme of cheese. This book has the common theme of bees. I am not going to waste my time anymore. 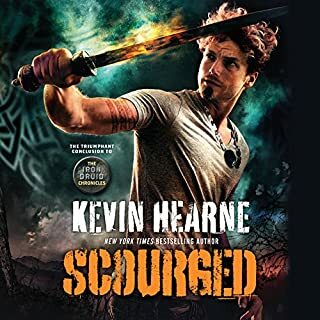 The other authors' stories were too dark, uninteresting, and lacked the wit and humor and lightness of spirit I enjoy in Kevin Hearne's writing. Friendship and loyalty are wonderful and writing can be a lonely business, so having joint projects can be great for authors. Not so much for readers. I am irritated that I have to pay for the full book when I will only read a part of it. 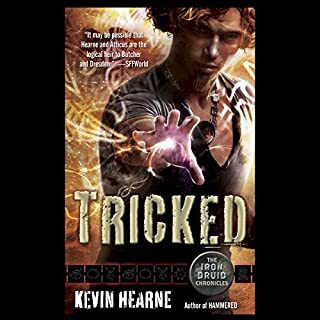 The author promised this would wrap up the series and solve outstanding plot threads. It did none of that. 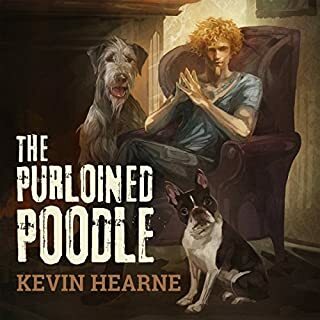 What it did do is allow the author to make ridiculously repetitive dogs don't understand time jokes, insert a few leftist political jabs and left all the resolution of the main characters' personal and mythological plot lines wide open. I only picked this up for the new Oberons Meaty Mystery and damn, am I glad I did. 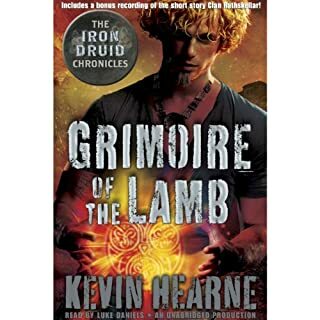 This novella encompassed a lot of what made the fans of the series, fans. It was funny, heartfelt, and full of delicious sounding foods. 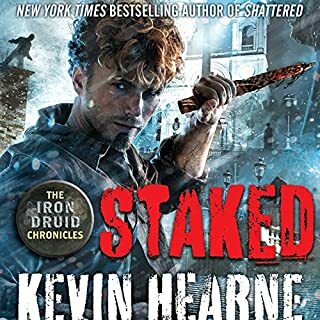 I really feel like this wrapped up the series in a way that was better than the last book. I'm really glad I listened to this. 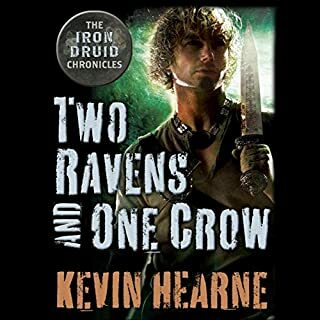 It brought me joy to see something after the last Iron Druid Chronicles book and this was Hearne and Daniels are their best. For me, the first story was excellent. I love Oberon's Meaty Mysteries. The second? Good and I'm willing to explore more works. 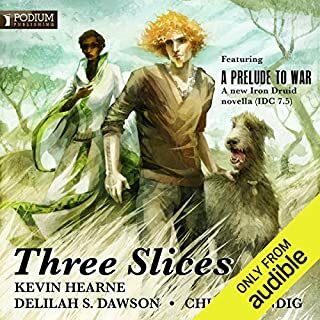 The third? I didn't make it all the way through the story. The author's way too dark with way too many cuss words. It doesn't leave the reader with a hopeful feeling.